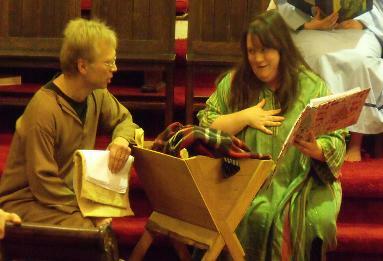 ﻿The Christmas Mysteries is based on the four Christmas plays in the 14th century Wakefield Mystery Cycle. 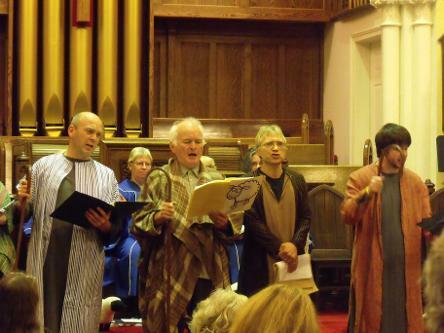 Originally written in Middle English (the language of Chaucer), BarnDoor Productions has translated and adapted the verse of its anonymous author (the so-called “Master of Wakefield”) and amalgamated the four plays into one entertainment. even funny – yes, the Medievals believed God had a sense of humour! 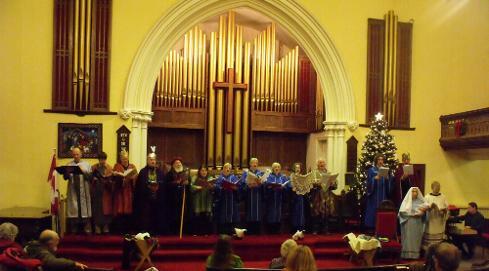 Add some medieval music arranged for organ and choir and it’s great theatre! 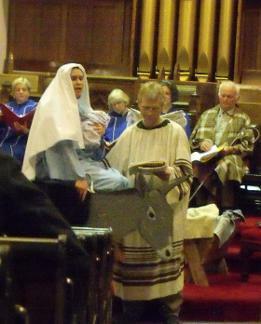 A Sunday School Christmas pageant on a grand scale!